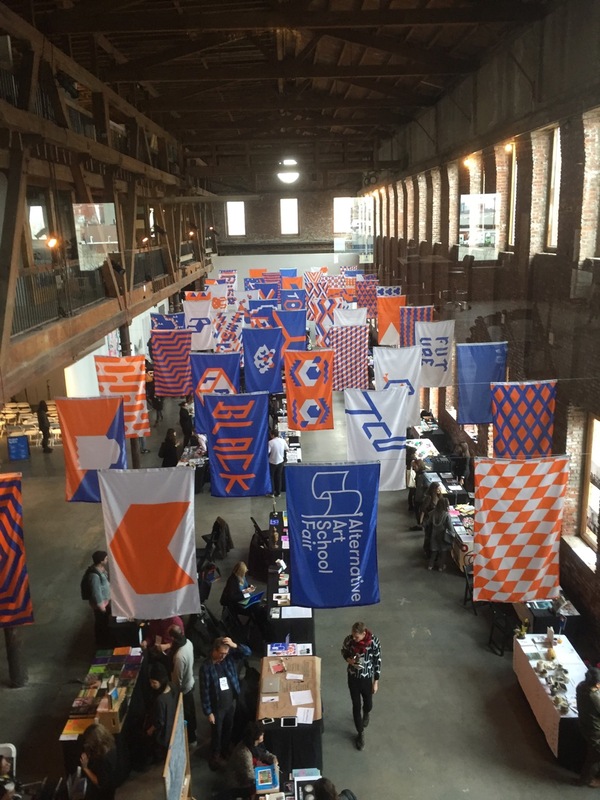 In mid-November we were invited to participate in the weekend-long Alternative Art School Fair (AASF) at Pioneer Works in Red Hook, Brooklyn, along with +50 other schools/institutions/project spaces. Neither singular nor static, Arts Letters & Numbers is an emergent and collaborative endeavor with many parts and players: a conversation in action. In light of this, rather than having us on one side of a table and the audience of the AASF on the other, we embarked on a two-day workshop, bringing them into contact and creative exchange with the greater ALN network, which would gather the questions of the visiting AASF audience amongst with ours. 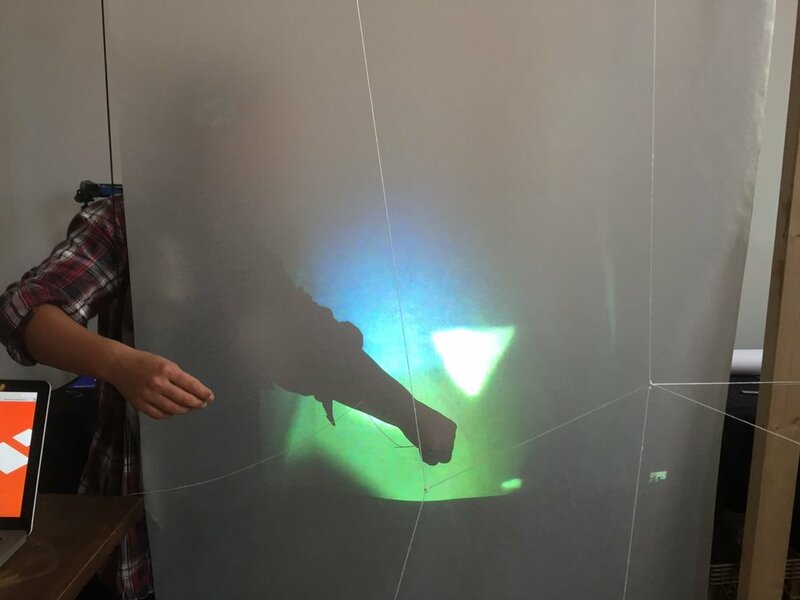 With the table gone we constructed a three dimensional wooden frame with an identical footprint, which acted as a space to gather the questions. Via a video link we hosted live poetry readings from groups respectively in Buenos Aries and Ithaca, projected to a screen in the frame. The grand finale was a pivotal moment in the life of one of our house on the hill: cutting through the third floor to make room for a staircase and create a new studio space in the attic—a real-time interactive piece between the people in the house and AASF audience, communicated through the transference of light via the video link between the two spaces. We walk away from the AASF optimistic and with many new friendships. 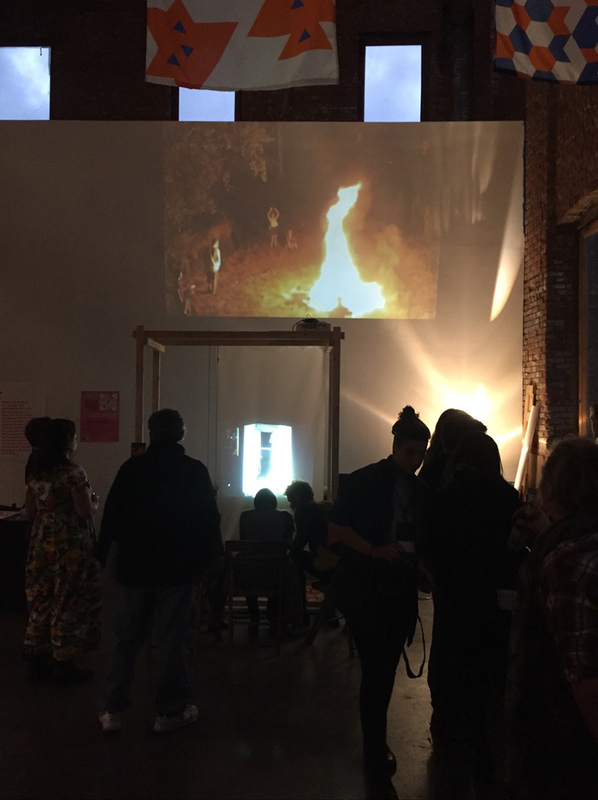 Pioneer Works, is a non-profit organization, running artist residencies, exhibitions, and performances in their facilities in Red Hook, Brooklyn NY. They focus on community building and to provide spaces for alternative modes of thoughts. This fair will be the first fair they are hosting for alternative art schools, and for us to participate means a great deal. Due to a family situation, we have unfortunately had to postpone this workshop. It will definitely take place sometime in the future! Please make sure you keep an eye on this event, on the Arts, Letters & Numbers Facebook page, and on the email lists of ALN and Quill to receive updates on this event. Quill Creative and arts letters & numbers are welcoming all composers, performers, songwriters, musicologists, producers, sound engineers, and anyone involved in the music world, who also identify as a person of colour, queer, trans*, elderly, disabled, or otherwise marginalized, to spend a week in upstate New York exploring ideas, collaborating, and connecting in intentional community. Together, we will generate a collaborative and creative experience, exploring marginalized music, and marginalized identities in the music world. We will hold space for each other to share our experiences of exclusion and inclusion, oppression and empowerment, solitude and joy. Each guest will be given time and space to lead group creative activities, give performances, talks, readings, or lead discussions about music, art, and queer, trans*, racialized or other oppressed identities. Arts Letters & Numbers is a non-profit arts, education, and publishing organization dedicated to facilitating creative exchanges across a wide range of disciplines including Architecture, Visual Arts, Theatre Arts, Film, Music, Humanities, Sciences, and Social Sciences. Arts, Letters & Numbers conducts workshops in educational and cultural institutions worldwide in collaboration with theatre companies, artists, writers, actors, musicians and filmmakers. It operates an ongoing series of educational workshops, performances and film productions at ‘The Mill’ located in Upstate, NY. Quill Creative is a project that provides resources and space to explore concepts related to the wellbeing of queer and trans* low-income artists through workshops, a blog, podcasts, and low-cost web development and one-on-one help with technology. Participants will be housed in the original mill owner’s residence, a gorgeous, heritage house with construction dating back to 1859. The House is one of arts letters & numbers’ works; it is a work in progress - it is perpetually “under construction” as an evolving work, that undergoes changes throughout the year. Dorm-style housing will be provided, with a limited number of private rooms available at an extra cost. The house is equipped with wifi. Meals will be prepared communally, with food costs the responsibility of each participant. 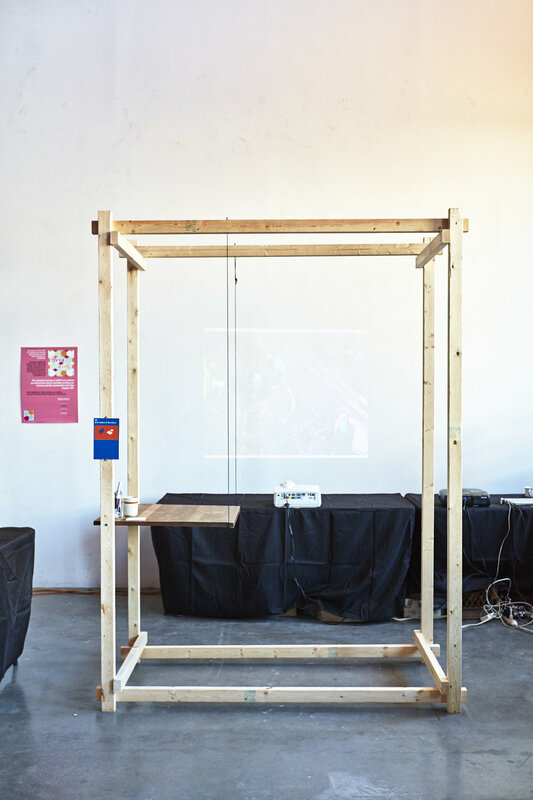 There are two pianos (one grand and one upright), projectors, video cameras, and various other materials for building and art-making, all of which will be accessible to the workshop participants. Unfortunately the space is not currently accessible to wheelchair users, because of door widths. We are working to make these spaces accessible. No sexism, ageism, racism, ableism, homophobia, fatphobia, classism, transphobia, or other forms of bigotry will be tolerated. Suggested donation is $175 USD for the week, but PWYC and work scholarships are available. Carpools from Montreal and NYC will be arranged closer to the date, and pickups from the airport and bus/train stations in Albany can be arranged. What kinds of music do you enjoy making, and which instruments do you play? Describe your musical practise and/or the ways you participate in musical activity. How did you hear about "Music from the Margins?" Please send me information on work study/PWYC options. Thank you! You will hear back about your application shortly. Have a great day! 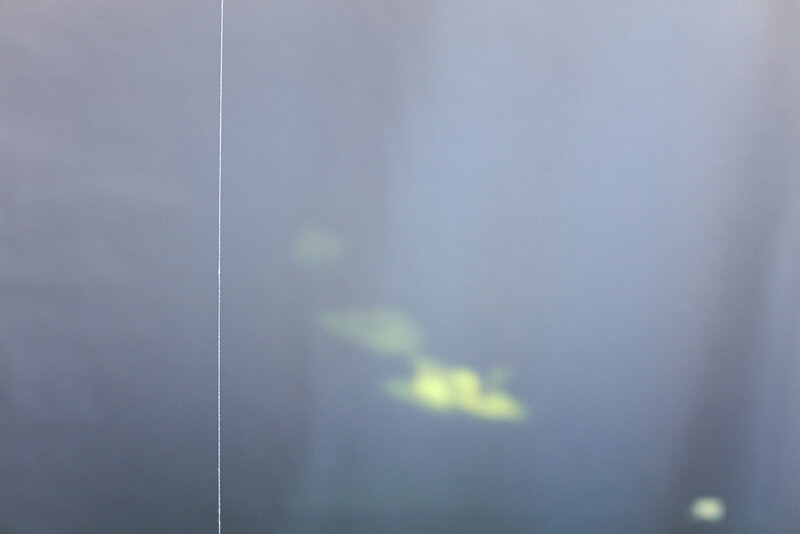 At Arts Letters & Numbers we are excited to introduce our first Residency Intensive - A two week interdisciplinary residency program directed at exploring and creating work situated between three distinct, yet kindred subjects - landscape, cuts and color. A program where the creative agency of the individual is fueled and developed in a continuous conversation between the works and the voices of others. Where a small group of devoted people come together for a short period of time to develop their work and challenge their thinking, where intent and intensity are key components, along with joy, playfulness and curiosity, where the unknown is expected and doubt is celebrated, where the raw and the fragile blends with strong convictions and vigorous minds. We will be searching for the unknown between the known; for works that emerge in the in-between, in the cracks and the spaces between one and the other. Between cuts and color, landscape and cuts, color and landscape. Between all of of them, and is none of them. Within one, next to the other. Becoming a third. 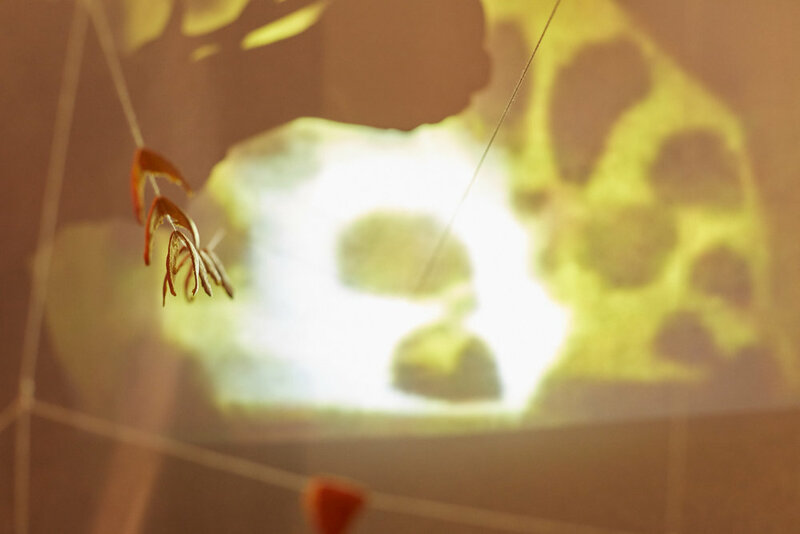 The focus of the program is to develop individual and collaborative works that emerge relationally within this undefined generative conceptual field. The program will consist of a series of sessions, conversations and observations, led by the Arts, Letters & Numbers program developers and invited visiting artists, who will introduce diverse understandings of the subjects and assist in opening up for ways of looking at and thinking with and within the in-between of color, cuts and landscape. In addition the program will also include communal dinners, listening critiques, field trips and open mics, and as a culmination of the two intense weeks the program will conclude with a public celebration of the new body of work, a collection of Tertium Quids, situated between landscape, cuts and color. The Arts Letters & Numbers facilities includes a variety of spaces open for intervention. Most of them are in a constant state of change, adapting to and being transformed by the changing needs of the programs and people inhabiting them. The residency is housed in a 9 bedroom mansion– original the cotton mill owner’s house from 1859– better known as The House on the Hill. Here we offer both shared (3-5 beds) and individual sleeping arrangements. In the house there is a music room, that currently holds a Baldwin grand piano as well as a Kawai upright piano that residents are invited to use. The kitchen is communal and used by all who reside in the house. During the Residency Intensive, although each participating artist is responsible for their meals individually, planning collective meals is always fulfilling. As part of the program and included in our fee, we will provide the welcome dinner, the midway dinner and the final dinner. 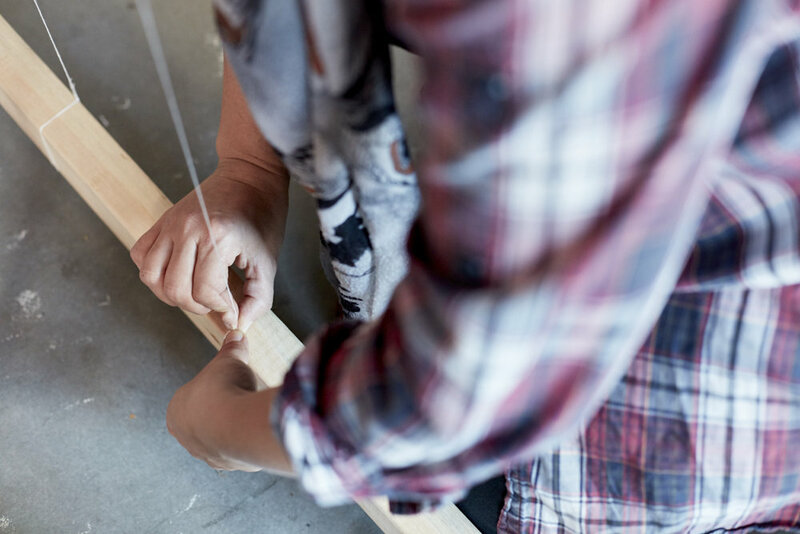 Our primary workspaces consist of The Barn and The Mill, which includes studio spaces and a wood and metal workshop. We have a great selection of small and large equipment available, alongside a treasure trove of old tools and different materials for you to explore. Most materials found in the mill can be utilized in conversation with program facilitators, but participants are responsible for all other material costs for individual work. There will be scheduled trips to the local art supply store for any materials that cannot be found onsite. We also have extensive outdoor spaces available that can be utilised in countless ways and we welcome you to think of these spaces as sites you can work with and within. The grounds contain a great variety of spatial qualities, terrain, surfaces and vegetation: from our open fields and steep slopes, to a tree covered path and newly planted apple orchard. 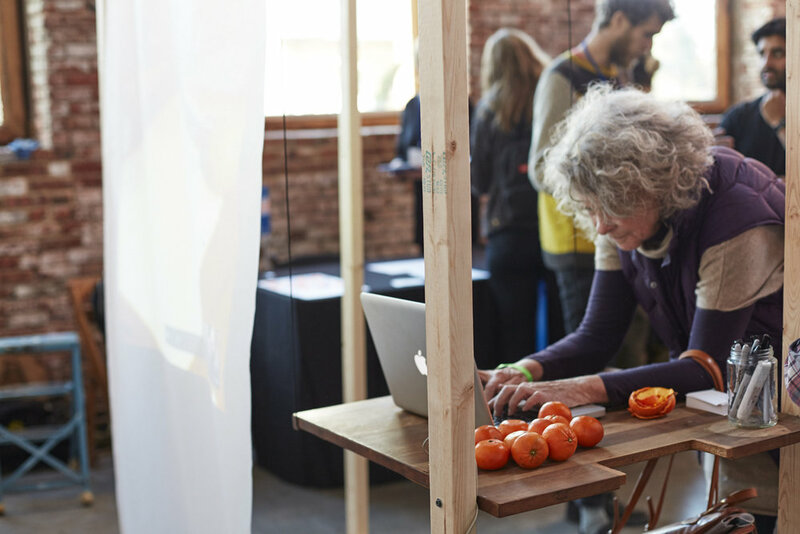 We strive to cultivate a space that encourages collaborative and individual creation: to think, make and act alongside others within a community. 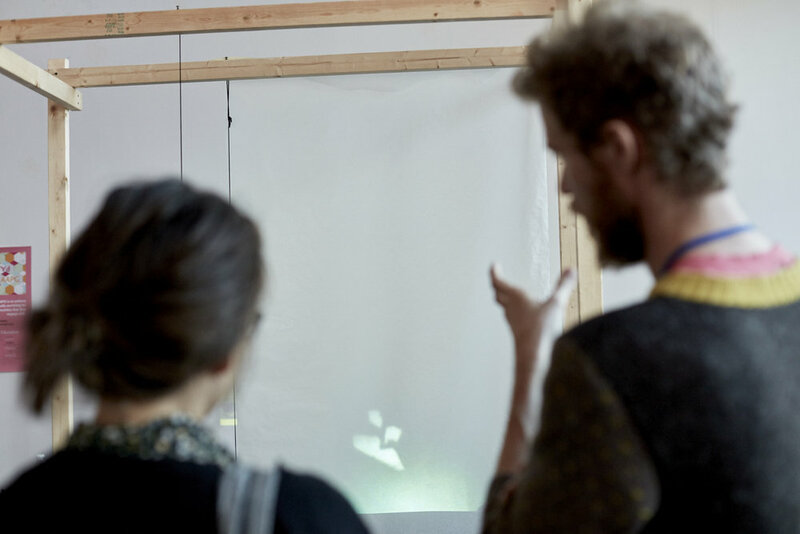 With our Artist in Residence Program, artists from a wide range of disciplines are able to come together, ask and engage their questions, create and share their work. We believe that when people are free to act, interact with and support one another, new works and ideas emerge. Everyone participating in our programs are expected to treat our facilities with care and consideration as well as be mindful of each other’s spaces. We find that the collective effort of many people living and working together to be quite an extraordinarily rewarding experience. Whether it is in a living or working situation, everyone is responsible for cleaning up after themselves, and lending a helping hand when possible. Our organization is based upon the value and reward derived from the articulation of shared creative and intellectual spaces. All other meals than mentioned above, or drinks at any of the meal mentioned above. Entrance fees at field trip locations. Material costs. If you have any questions regarding our residency intensive a third thing, please send us an email. "Exquisite Broken Circle" an Arts, Letters & Numbers workshop was held at Brown University. Conceived of as an embodied "exquisite corpse," participants from multidisciplinary backgrounds engage in action, re-action and reenactment within the construction of two half-circle arcs set back to back. Within each arc space of performance, a set of live-feed cameras and projections loop the image(s) and the performer(s) in an infinite mirror of responsive and repetitive movement that creates a dialogue between the performers and each set of actions.